A plate heat exchanger (PHE), also known as gasketed plate heat exchanger (GPHE) or plate and frame heat exchanger, comprises a pack of spaced corrugated plates arranged such that the two heat exchanging fluids flow through alternate spaces in the pack. The corrugations maintain the gap between adjacent plates which are sealed against each other. There are nowadays several different technologies to effect a seal between the plates and to maintain the pack in a compressed state, glued or non-glued. The plates are pressed with chevron corrugations to form channels at right angles to the direction of flow of the liquids which run through the heat exchanger. The parallel flow channels with alternating hot and cold fluids are arranged by compressing together the plates into a rigid frame. The large plate surface area contact with fluides allows the fastest possible heat exchange and the channels also create and maintain a turbulent flow in the liquid to maximize heat transfer in the exchanger. A high degree of turbulence can be obtained at low flow rates and high heat transfer coefficient can then be achieved. 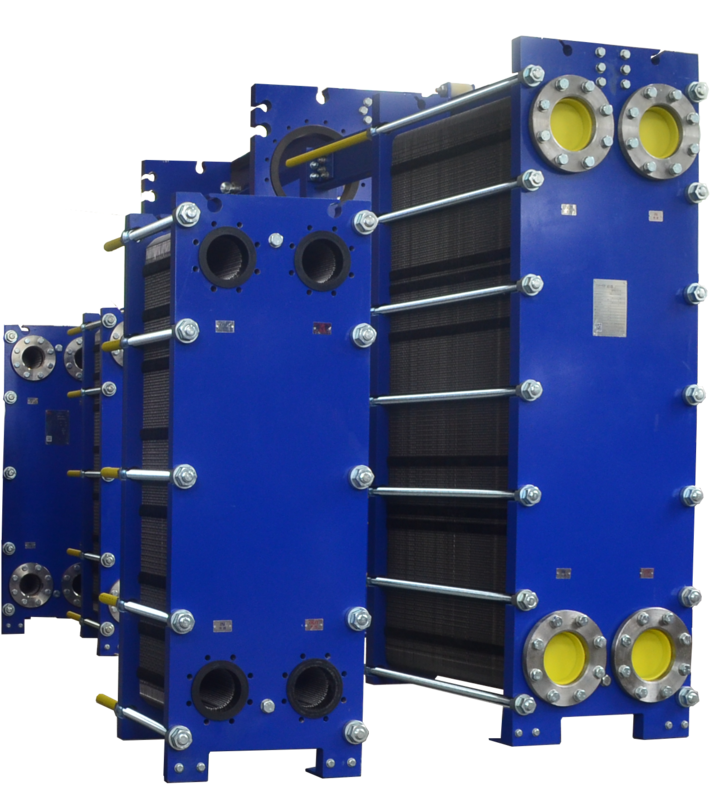 Plate heat exchanger is the most advanced energy-efficient heat transfer equipment. 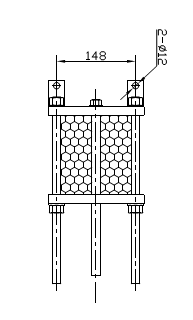 Compared with shell-and-tube heat exchanger, plate heat exchanger with true couter current flow, the temperature approach in a plate heat exchanger may be as low as 1 °C . For the same amount of heat exchanged, the size of the plate heat exchanger is smaller, because of the large heat transfer area afforded by the plates, more heat can travel through the large plate surface area. By simply adding and removing the plates from the pack, the heat transfer area can be increased or reduced. It is a specialized design well suited to transferring heat between medium- and low- pressure fluids. 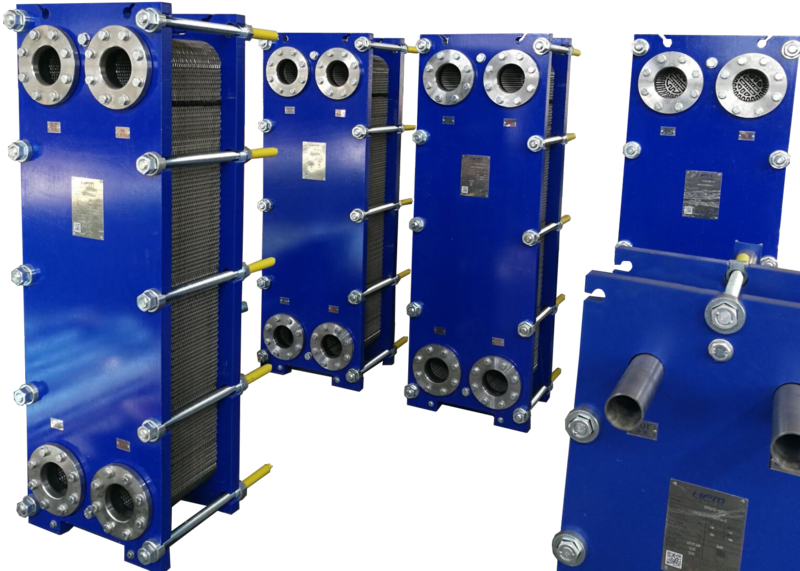 Welded, semi-welded and brazed plate heat exchangers are used for heat exchange between high- pressure fluids or where a more compact heat exchanger is required. 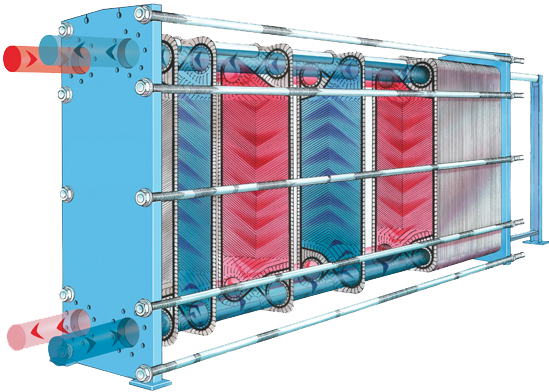 What are the advantages of Plate Heat Exchanger? Plate heat exchanger products are widely used in industrial heating and cooling, HVAC, power generation, oil and gas production, food and beverage processing and many others.